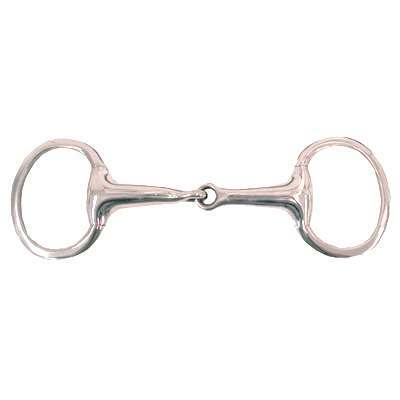 View our fine collection of Hollow Mouth Flat Ring Eggbutt Bits and horse tack equipment. The Hollow Mouth Flat Ring Eggbutt Bit is a mild bit that will not pinch the horses lips, while the mouth piece does not rotate around the ring. This item measures 3'' in rings and 20mm mouth. This Eggbutt Bit creates snapping action with rings and mouthpiece. The Hollow mouth also helps lessen the applicable pressure in those areas.